Astro shouldn't be the only one with cool toys! 1. A smart toy that provides your dog mental stimulation. With three paw-sensitive multicolor touch pads, a variety of programmed puzzles and smartphone controls, CleverPet is optimized for your pet's engagement. Your pet uses the light-up touch pads and custom sounds to solve puzzles — then treats are dispensed if they're able to solve them. Order it at CleverPet for $299. 2. A treat-dispensing two-way camera so you can FaceTime with your furry friend and buy their love with treats. If you're like most pet parents, you show your love to your favorite fuzzball with food. Whether it's a well-deserved treat or a scrap from dinner, you love to give them a little something-something to fill their tummy. Now, with PetChatz, you can do that while you're not even home! Check in on your pet using the two-way camera and give them their daily fix of love from you. Get it on Amazon for $379. 3. An activity monitor to make sure your pet gets all the playtime they deserve. 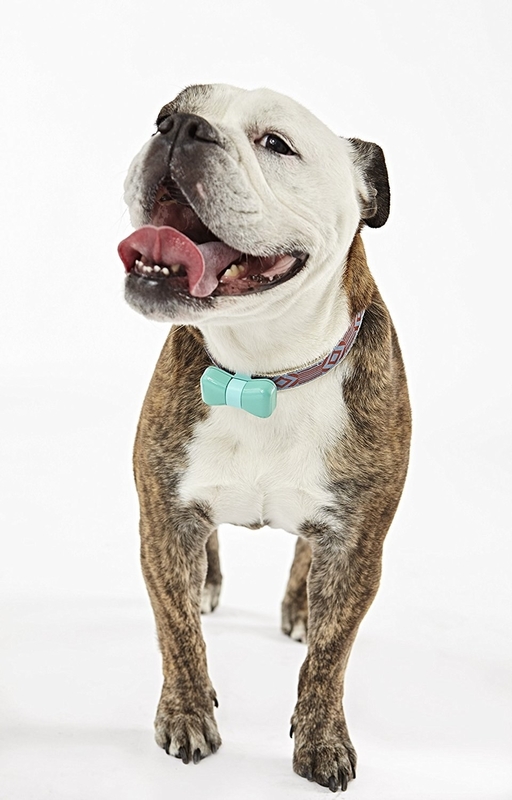 Just looks like another dog in a bow tie, but the WonderWoof Activity Monitor is actually way more! By monitoring the movements of your pet, it helps you discover whether your bundle of joy is getting enough exercise and social interaction, and sends the results directly to your phone. Get it on Amazon starting at $95. 4. An LED ball for those nights when you want to be able to go out and chase some tail. The Nite Ize GlowStreak LED Ball uses its waterproof and durable design to let you play with your dog even if the day turns into night. With motion-activated LED lights, the molded shockproof tennis ball–sized toy is perfect to play fetch with your Fido. Get it in Amazon for $13. 5. 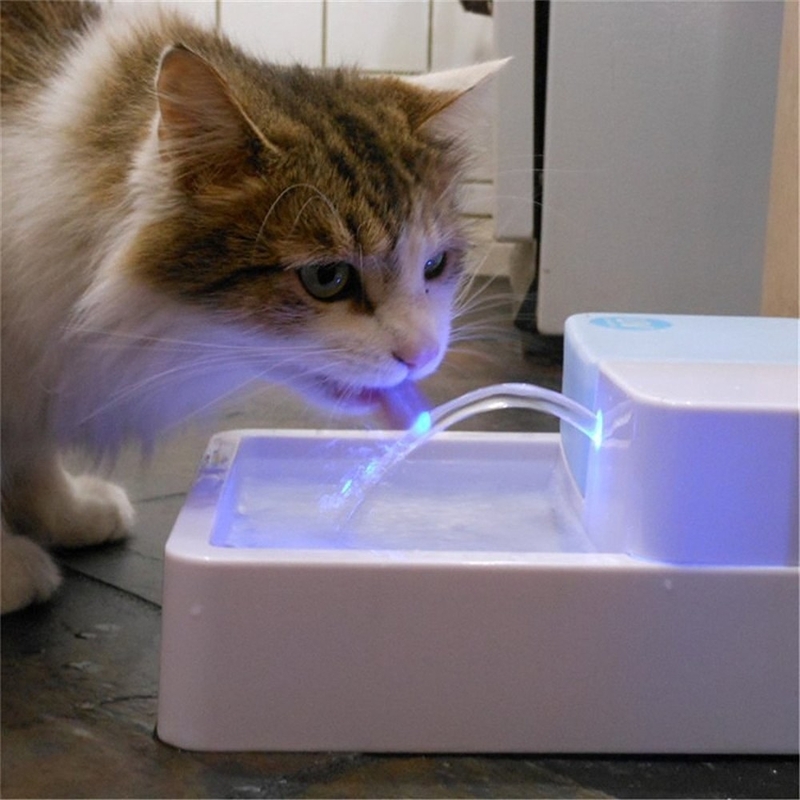 An LED and UV sterilizing pet water fountain that your pets will want to drink from. Did you know pets are attracted to a constant stream of water? Probably their animal-like instincts. 6. The Arden Collar, which is the coolest pet collar ever created. There really isn't much it doesn't do: It has GPS, it's made of hypoallergenic silicone, it's waterproof, it has LED lights, and it uses NFC data transfers to notify people that are in close proximity to your lost pet, via their smartphone, that your pet needs help! Like an Amber Alert for your pet, people!!!! Mic drop, this is a game changer. The collar ranges in price from $149 to $650 (add-ons include leather and an internationally functioning data plan). Get yours at Arden Collar. 7. An app-operated food dispenser with a camera and speaker. With the Hoohi Pet Feeder, you can schedule exact feeding times for your cat or dog, watch them with the built in 1.0- megapixel camera and speak to them with the integrated loudspeaker. The only thing it doesn't do is teleport you so you can cuddle with your furry friend. Get it on Amazon for $180. 8. A litter box that monitors the health of your cat. Tailio is a smart monitoring system that measures the weight, waste, and elimination behaviors of your furry friend. Just place your current litter box right on top and it'll send all the information directly to your phone, alerting you whenever it notices any issues. Get it through the Tailio website for $200. 9. 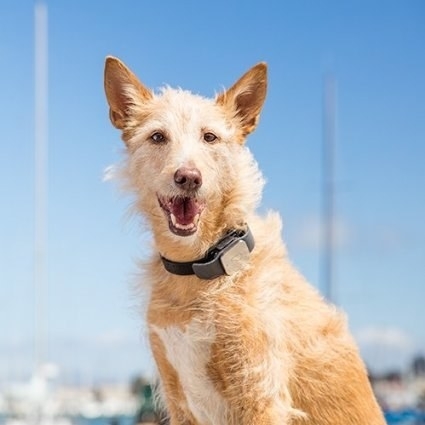 A GPS pet tracker to make sure your dog makes it home by curfew. As a pet parent, one of the most terrifying experiences you can have is to find out your dog isn't in a safe place. Luckily, the Whistle GPS Pet Tracker brings a little relief to such a scary situation. By attaching the tracker to your pet's collar, you have immediate access to their location, and if they ever escape your defined safe zone, you'll get a notification on your phone letting you know where they are. 10. An automatic feeder for your pet that serves both dry and wet food! If you feed your pet wet food or a combination of foods, you know there aren't a lot of options for automated feeders. Most just serve up dry food and leave pets with a different meal plan completely out. But the CE Compass Automatic Feeder lets you schedule up to four meals, prepared however your lovebug likes them. It even lets you record a message so your pet can hear your voice whenever it's meal time! 11. A dog toy that times and rewards playtime. Without using any electronics or batteries, Tikr uses its strategically sized holes and built-in timer to let different-sized treats fall out. As the timer counts down, the holes will align and reward your dog with a delicious snack. Your dog, eager to get the next treat, will play for nearly 45 minutes before getting all his rewards, with the largest snacks being saved for the very end. Preorder it on Tikr's website for $25. 12. A pet camera so you can be with your bundle of joy when you can't be with your bundle of joy. Spend the whole day with your pet, even if you're not physically there. 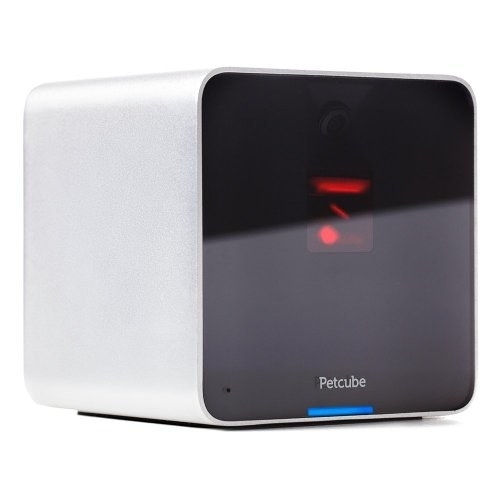 The Petcube Camera provides a live video stream and sends it to an app on your phone. Get it on Amazon for $149. 13. A dog bed made of US military-grade materials so that it never smells. 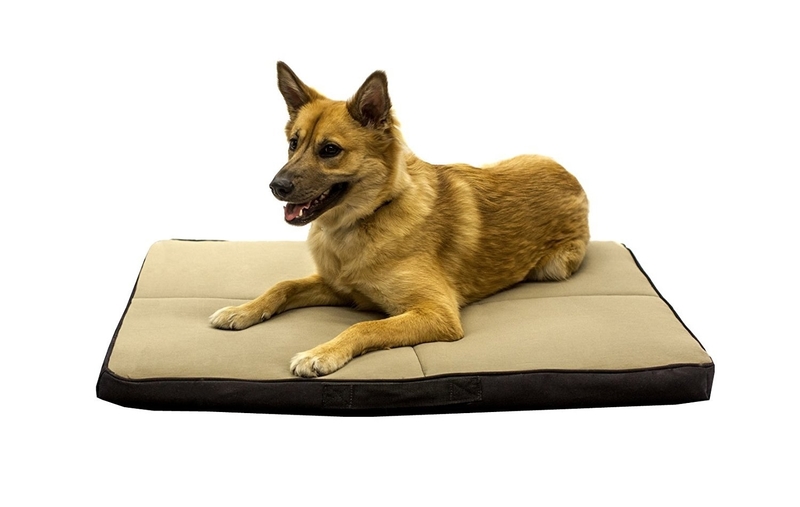 The Wake & Wag dog bed is a super-comfy and durable sleeping destination for your dog. 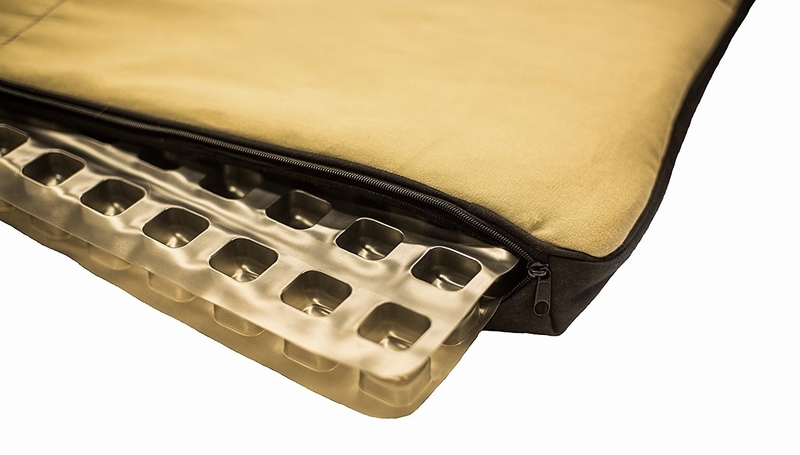 By using Skydex patented technology and highly cushioned materials originally designed for the United States military, the bed maintains its shape, has a removable machine-washable cover, and an odor- and dirt-resistant innerspring. Prices range from $109 to $289, depending on the size. Get one on Amazon. 14. A smart bowl to make sure your pet is getting the right portions based on their size and age. The Petnet Smart Bowl helps you serve your pooch or feline a perfect portion of food, so that they're never overfed. By using your pet's age, weight, and level of activity, it helps you serve up just the right amount of food and monitors their intake while you're away. It'll also help match your pet with the ideal food recipe, making sure they're eating the best possible food for them. You'll also get alerts to your phone if it notices anything out of the ordinary, like if they're not drinking or eating enough. Get it at PetCo for $50. You can also get it with an automated feeder for $150! 15. A laser toy for your feline friends. The FroliCat Bolt Interactive Laser Pet Toy will have your cat playing for hours. Using a totally safe laser, you can choose one of the many available designs to have your kitty chasing lights. Get it on Amazon for $18, or an automatic version for $28. 16. An interactive ball thrower so that your dog can play fetch all day. 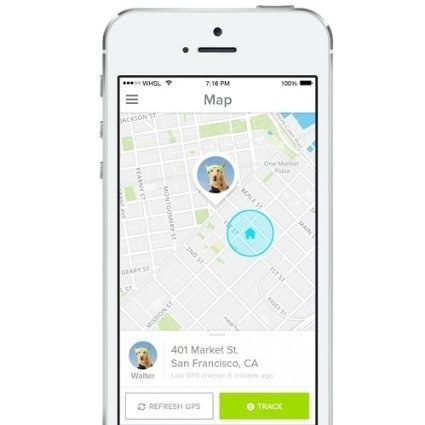 The iFetch allows for your dog to play fetch all day without you having to do any of the work. Small tennis balls are released, and when your dog returns them to the safe compartment on top, they get thrown again and again for a day filled with a lot of back-and-forth. Get it on Amazon for $104. 17. An app for your cat. Just when you thought humans were the only ones who could use an iPad. Game for Cats is a free app you can download to have your cats entertained for hours. Just the way you can't stop playing Candy Crush, they won't be able to stop playing this! 18. A state-of-the-art towel to dry your pooch after bath time. Dog Gone Smart's Zip n Dri is basically everything you ever wanted to turn your dog into a burrito, and an amazing solution for drying your wet pooch. Made of super-absorbent microfiber, it'll dry your dog four times faster than your regular old towel. Just zip up your pup in its unique design and you'll capture all the mess that your shaking dog normally leaves behind. Convenient head flaps allow you to slip your hands into glove-like pockets so you can dry their ears and face too. Get it at Canine Master starting at $44. 19. A luxury lounger for your pets for when you redecorate your house to resemble the home of the Jetsons. It's a $1,000 futuristic egg-looking chair for your pet. Need we say more? Preorder the Padpod Luxury Lounger from Dog Bar. 20. A smart toy and snack dispenser to help you train your dog even when you're not home. 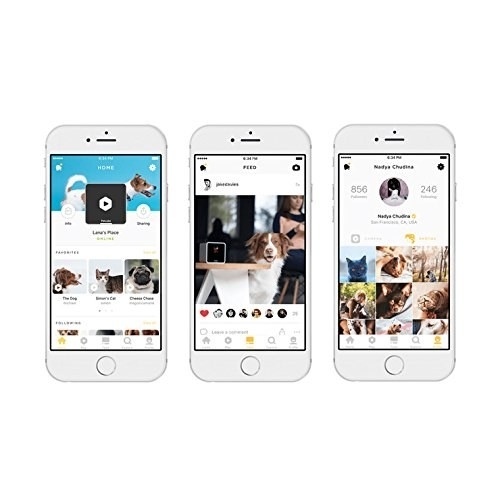 PupPod is a new kind of pet technology platform that allows your adorable pooch to play and learn at the same time. 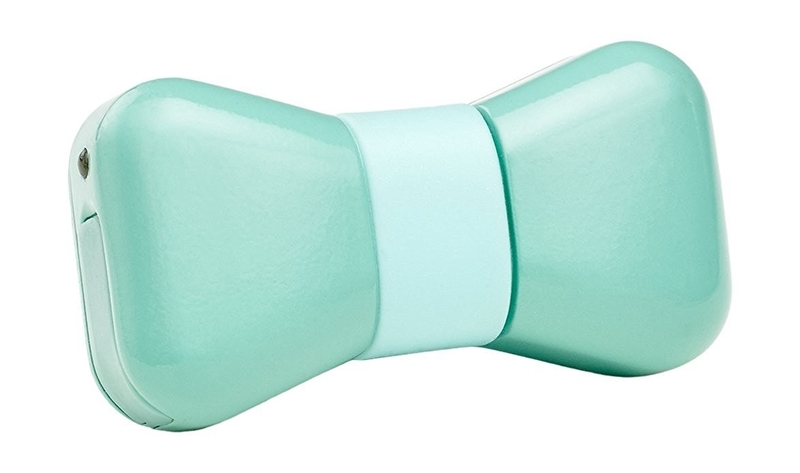 Using sensors and wireless technology, the smart toy will help stimulate and teach your dog. When they do well, they're rewarded with their favorite treat through the wireless dispenser. As they get smarter, the games get more challenging, so that they're constantly stimulated. Once the play session is over, you'll get a notification on your smartphone that lets you watch video and keep tabs on your baby's progress. 21. An automatic fish feeder, because we didn't forget about our aquatic friends. Fishies rarely get any love when in comes to technological advances. 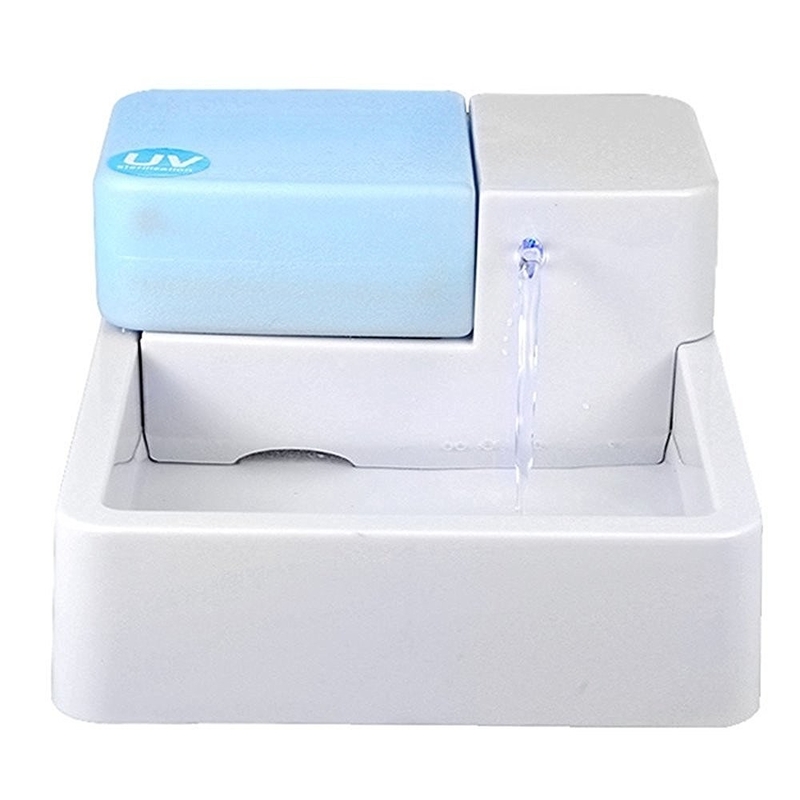 But the Eheim Everyday Fish Feeder Programmable Automatic Food Dispenser is the exception. Once you set it, using its LCD screen, it'll feed your fish for you. 22. A dog leash that makes taking your dog out for a walk a little easier. The Brolly Leash will make walking your dog a breeze. Made with a squeezable grip and a unique swivel design, this leash is perfect if you've got a big dog and need some help making sure they don't take you for a walk. Learn more at Brolly Time. 23. A $30,000 Doggy Dream House. Sure, you could probably buy a fixer-upper house for humans in some of parts the country for this price, but then again, you could also buy your dog the house of the future! They're pretty much on the same level! Created for the Cruft's 2015 Dog Show, this technological K-9 mansion is beyond anything your dog could ever dream of. Technically, it's not for sale, but if you're willing to spend $30,000 on your pup's new abode, there is probably someone who would be willing to put it together. Learn more on the Samsung UK YouTube channel.